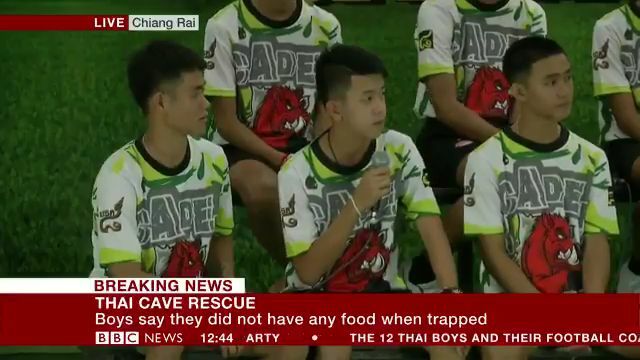 All 12 members of Wild Boars Junior football team and their coach who were trapped for over 2 weeks in a flooded cave have been discharged from hospital. BBC reports that the boys (aged between 11-16) and their coach who looked very healthy and excited in matching outfits, headed straight to an organised press conference where they took turns recounting their grueling experience while they waited to be rescued. 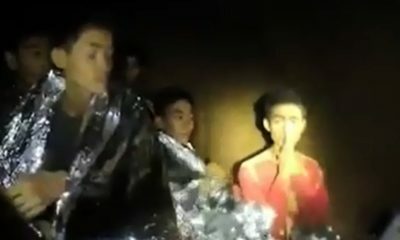 The boys, led by their coach Ekkapol Chanthawong, 25, got trapped in the cave on June 23rd.